Sandler in Happy Gilmore. 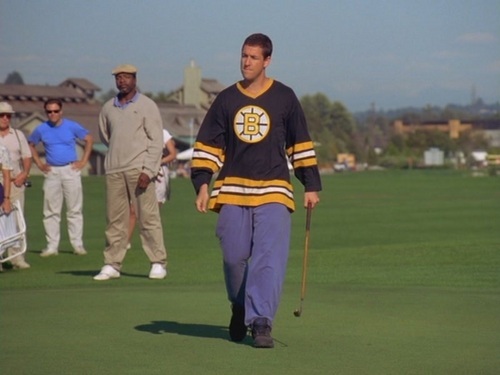 Adam Sandler as Happy Gilmore (1996). HD Wallpaper and background images in the Adam Sandler club tagged: adam sandler screencaps happy gilmore 1996. This Adam Sandler Screencap contains portello and wicket. There might also be corredo militare, detenzione, blu vestito, bianco vestito, abito blues, dress bianchi, fielder, and fieldsman.